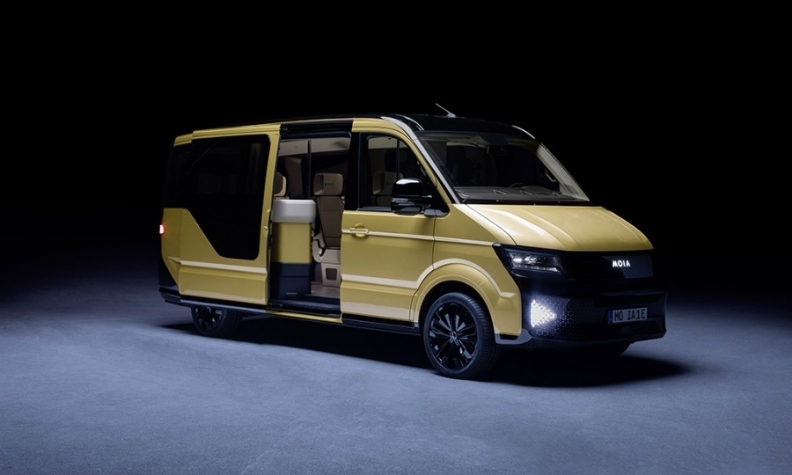 VW's Moia mobility division has recently unveiled an electric minibus as part of its future plans for ride-pooling services. MILAN -- The car industry faces its biggest technological transformation since the automobile was invented more than a century ago, with self-driving systems, electric cars and ride-sharing initiatives now at the center of attention. The huge overhaul is leaving no manufacturer untouched, and companies are reacting to avoid being left behind by the revolution. The latest example: Continental, the German supplier, is in the early stages of exploring options with advisers that could split it into separately listed business, according to people familiar with the matter. The overhaul would give divisions with diverging technologies the resources to focus on their own developments. The marketplace shift will make it harder to make money producing less-advanced mechanical parts as fewer combustion-engine cars are made. Continental is far from alone. Here are some examples of how the automotive industry is reinventing itself. Fiat Chrysler Automobiles spun off its Ferrari supercar division two years ago into a $21.6 billion company, and plans a similar strategy for the Magneti Marelli and Comau parts units. In December, Delphi split into Delphi Technologies, which will focus on gasoline and electric powertrains, and Aptiv, which will develop connected and autonomous cars. Daimler is setting up a holding company with the Mercedes-Benz luxury-auto and van nameplate, Daimler Trucks & Buses and financial services as three largely independent units. Autoliv is creating separately traded companies for its electronic active-safety operation and its traditional seatbelt and airbag business. Technology partners Volkswagen Group and Hyundai Motor last week joined a startup called Aurora formed by one-time heads of autonomous-car projects at Google parent Alphabet and Tesla. At the same time, Continental and larger German rival Robert Bosch have agreed to buy 5 percent stakes each in the Here digital-map consortium owned by Daimler, BMW and Audi. Here also cooperates with technology companies including Intel and high-tech camera and software producer Mobileye in developing autonomous driving. BMW is reviving development of its "i" electrified-car subbrand, currently restricted to the i3 battery-powered city car and i8 plug-in hybrid sports car. Volkswagen set up the Moia digital division in 2016, focusing it initially on services such as ride-sharing, and plans to roll out the I.D. EV lineup by 2020. Mercedes is introducing its battery-powered EQ models at about the same time.